Here is an article from JP magazine. There was a man by the name of Chet Thompson who lived in the Yakima, Washington area. Chet worked at Inland Motors in Yakima. Chet was a mechanic at this shop. Chet rebuilt the old Studebaker Overdrive equipped transmissions that were quite popular in those early days (late 50’s). Chet had an idea that maybe he could figure out a way to utilize the parts from those early overdrive equipped transmissions and get them to work in a Dana 18 transfer case. With this knowledge, I have tried to go backwards and figure out how he came up with the idea and parts to build the first overdrive that would fit in the Dana 18 transfer case. The Borg-Warner Co. was who manufactured the overdrive of these early assemblies. Somewhere along the line Chet’s brother Norm came into the picture. I believe he was an engineer. The two of them got together and the result was an assembly that installed into the Dana 18 transfer case. The original bowl gear, of the Warn OD, is a direct copy of the Borg-Warner bowl gear, in the early Studebaker OD assembly, on the inside 42 tooth configuration where the spyder gears run. The outside of this gear is different. They machined the outside of this gear to accept a 26 tooth mainshaft gear which was also machined and friction welded together. The spyder blank in the Stude OD had to be redesigned. They came up with a design that would not only fit inside the bowl gear ,but fit the mainshaft as well utilizing the same 3 spyder gears that were used in the Stude OD. These 3 gears that were the same as the ones used in the Stude OD were longer and smaller than the ones presently available. The spline shaft was also a different design and utilized a larger gear like the Stude OD’s. One of the early problems that the brothers encountered was a way to oil the rear bearing and to keep oil circulating throughout the OD assembly. They took an idea from the T-84 transmission that had an overdrive installed on it, which was an oil trough in the case that resembled an oil scoop and did exactly what they wanted to do with their overdrive. This allowed for better oiling and They built an oil scoop which solved that problem. Another oiling problem they had was to oil the cage bearings that supported the spyder blank. They redesigned the spline shaft with a spout on the end to allow oil to be circulated into the inside of the bowl gear. I understand that Chet and Norm built these assemblies in Yakima for a period of time (unknown). I have been told that they were hoping to expand their idea and product. They went to see Frank and Harry Hager who owned Belleview Mfg. in Seattle. The Hagers did fabrication and machining and were the originators of the Belleview winch. Some kind of a deal was struck and they started building parts for Chet and Norm. Somewhere in this time Thurston Warn purchased Belleview Mfg. After Thurston Warn purchased Belleview Mfg , Chet and Norm went to work for Belleview in some capacity. Norm was an engineer and I don’t know what Chet did. Sometime later Thurston Warn ended up with the rights to reproduce the overdrive. There is some controversy as to how this was accomplished. 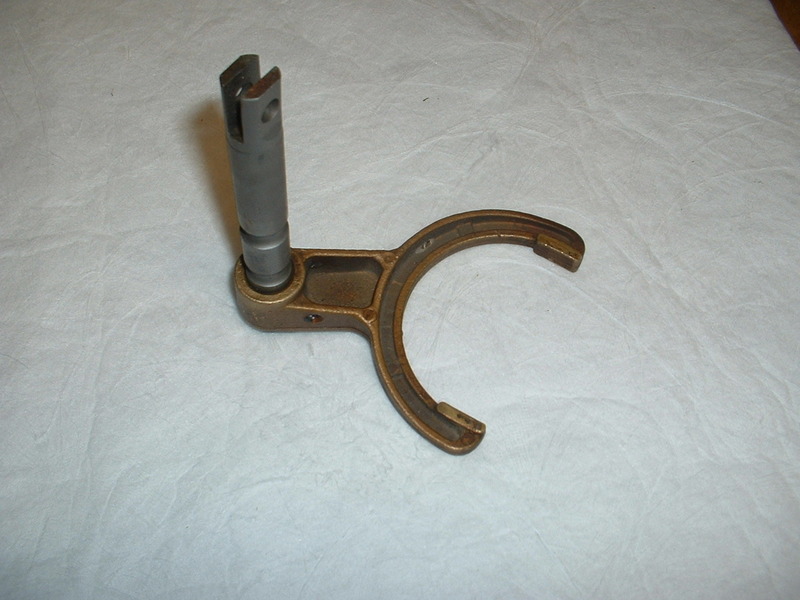 The Early drive nut that attaches the bowl gear to the mainshaft used a tool that was like a woodruff key in design with a “T” handle rather than an 1/2″ drive extension that is the current design. The lock washer or retainer had two tabs that fit into the drive nut to hold it in position and a “C” clip to hold it in place. The first Warn Overdrive used a 3 gear planetary spyder blank and was a ratio of 30%. This first prototype was installed in a CJ-3B of Lynn Hansen’s, who worked for Bellevue Mfg. Lynn retired December 2003 from Warn. This 3 gear planetary assembly proved weak and was changed to a 4 gear planetary assembly after a few years and some redesigning of other component parts. Click here to see a side-by-side comparison of the different spider gears. When the design was changed to a 4 gear the OD ratio went to about 22%-20% depending on how it is figured. Warn advertised it as a 20% OD. In later years Warn decided to change to a 2 gear planetary assembly to save money and it was a disaster, because of breakage, and they quickly changed back to the 4 gear style which was used until 1988 when they stopped production. I have had the oportunity to rebuild numerous early 3 gear planetary assemblies and found them to be in excellent shape because the owners had kept their jeeps in good shape. The first Overdrives were built as a front shift (shift shaft comes out to the front of the OD) and were built as 26 tooth units. The 29 tooth came next, also with the front shift. When Dana-Spicer changed the casting of the dana 18 t/f case the front shift shaft would no longer clear the dana 18 case. Warn redesigned the shifting mechanism and designed a rear shift. This rear shift was then used on all 26 and 29 tooth OD’s that were built. Warn overdrives were offered as Special Equipment on Jeep vehicles by the Jeep dealers. Warn also designed a PTO adapter so the a power take off could be used with an overdrive. This was accomplished by an adapter housing and a special gear attached to the back of the Overdrive. Husky products company hopped on the bandwagon (year unknown)and copied the Warn overdrive with their ownversion, first as a Dualamatic Overdrive. While there were some simularities, certain parts were changed to avoid patent rights and infringement laws. They had problems, the Dualamatic OD’s had a two piece gear (like Warn) but had problems with a poor attachment of the mainshaft gear to the bowl gear. The outer gear would spin on the bowl portion. Husky did some design changes and then redid the bowl gear to a one pice as Warn had done earlier. They renamed the OD a Selectro Overdrive. They still had problems because the heat treating of the bowl gear was poor and the gear got pits and flaked chips when used. The third and final design was renamed the Husky overdrive with a new Bowl gear and proper heattreating. These later units were as good as the Warn units and just as strong. Out of all of these Overdrives I have rebuilt that were built by Husky products Company, I have found no other problems than the bowl gear. They are as strong and durable as the Warn Overdrives of their day. Husky was finally caused to stop production by the courts through legal action by Warn Industries, all the while they were building and selling these assemblies. The parts may look the same but are different. Around 1991-2 Advance Adapters acquired inventory and tooling from Warn and started to reproduce theOverdrive under the name of Saturn utilizing a similiar design that Warn used. ATV Mfg builds an overdrive that is similiar to the Warn design. All of the parts for the ATV Mfg Overdrive will interchange with the later style ( 2 gear + 4 gear)Warn overdrives. Now the Saturn Overdrive has some changes that would affect the rebuilding of a Warn or a Husky Overdrive. Although there are simularities between the three designs, the changes are too numerous to list. Few parts will interchange between the Husky design and the Warn/Saturn/ATV design. Some of the replacemnent parts for the Saturn OD will not directly interchange with the Warn. One major change is the spline shaft. If you need to replace the spline shaft in a Warn OD, it will require machining to your spyder blank for proper fit using the same part from AA(directions are included when you purchase). Another major change was the shift fork. The first shift forks were some grade of aluminum. These had a lot of breakage. They have been replaced with a zinc compound that is stronger. Another change was in the main case casting. The “O” ring was replace with a seal. 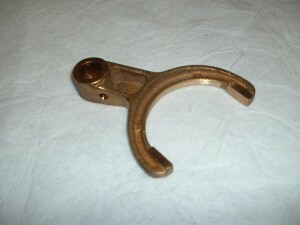 New castings do not have the “O” ring groove but have the provisions for a seal. Advance Adapters had some inventory of the PTO adapters acquired from Warn, but when the inventory ran out, there was not any available. 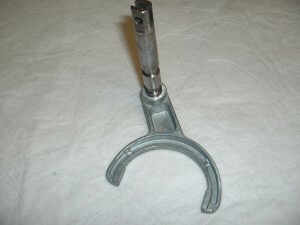 Atv Mfg builds the PTO adapters for the Warn, Dualamatic, Selectro, Husky, Saturn and ATV Mfg. ATV builds the 26 tooth Overdrives in a front shift configuration and the 29 tooth in a rear configuration as they were built originally. The 27 tooth Overdrives for the 1940-1944 Jeeps are also built in a front shift configuration. The 31 tooth Overdrives for the Mitsubishi Jeeps are a rear shift. All of the Overdrives that ATV Mfg builds have shift kits available. The new Saturn and ATV Mfg Overdrives are as strong as the Warn/ Husky assemblies. They will take an extreme amount of horsepower without breaking. The nmost important part of the OD’s is the oiling. Deep the transfer case full at all times. I know this is hard with all the leaks but you have to. They are very expensive to rebuild if you don’t. The failure rate of the Overdrives is the same , no matter which brand you run. 90% of the time it is lack of oil, not breakage. If it goes without oil long enough it will break. ATV Mfg rebuilds all of the overdrives from the early Warn to the Saturns and stocks the parts. I charge $45.00 labor to rebuild an Overdrive plus parts and freight. If you have any further knowledge, please let me know as this is the most that I have been able to acquire.